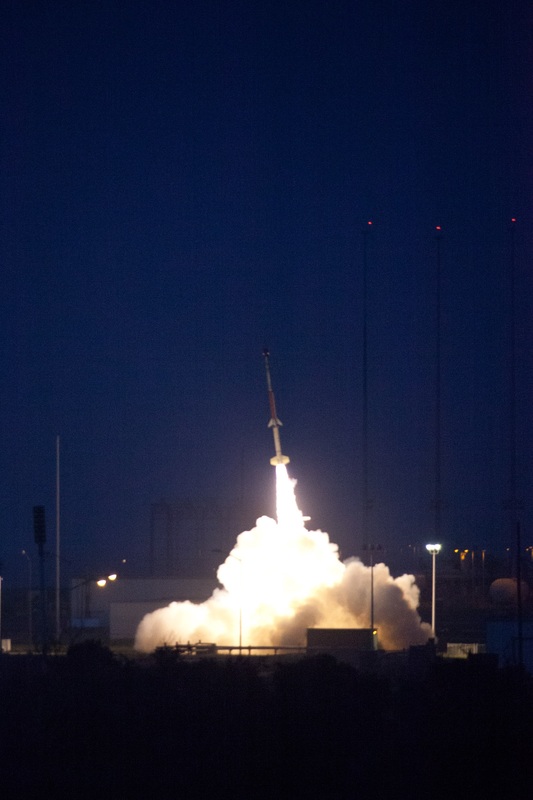 March 20, 2015 – NASA will fly six university experiments developed by undergraduate students from its Wallops Flight Facility in Virginia between 6:45 and 10 a.m. EDT, Friday, March 27. The experiments will examine technology development, microgravity science and the search for life in the upper atmosphere and near space during the suborbital mission, which will reach an altitude of nearly 94 nautical miles. The experiments, which will fly aboard a NASA Terrier-Improved Malemute sounding rocket, were developed through the RockSat-X program, a collaboration with the Colorado Space Grant Consortium at the University of Colorado at Boulder. The back-up launch dates are March 28-30. Participating universities in this flight are the University of Colorado, Boulder; Northwest Nazarene University, Nampa, Idaho; the University of Puerto Rico; the University of Nebraska, Lincoln; and Virginia Tech University, Blacksburg. “This is the fourth flight of RockSat-X experiments. The quality of the experiments developed by the students shows they are prepared for science, technology, engineering and math (STEM) careers,” he said. RockSat-X is the third tier in a multi-phase NASA program for providing flight experiences for community college and university students to improve their skills in developing experiments and payloads for spaceflight. Tier One, called Rock-On, introduces students and instructors to payload development; Tier Two, RockSat-C, then allows them to build on this learning experience developing an experiment for flight. 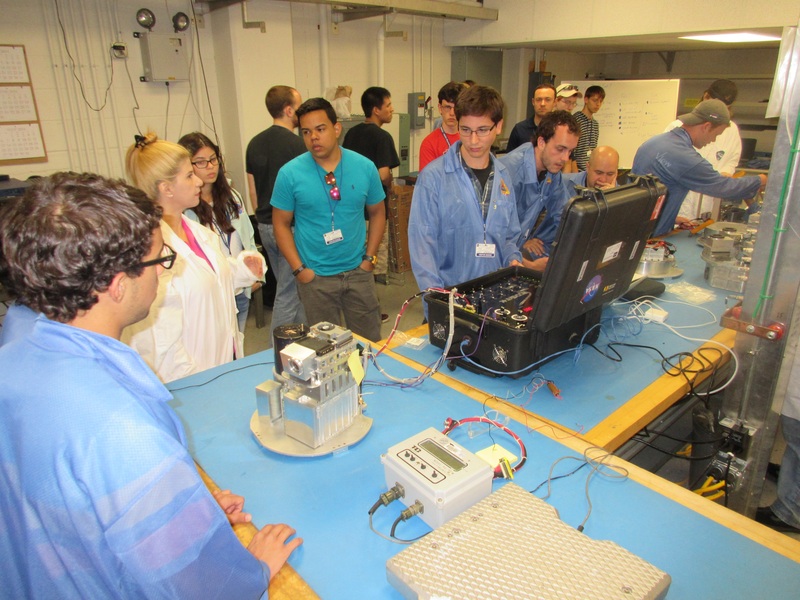 The University of Puerto Rico has participated in the three past RockSat-X launches, in addition to participating in the Rock-On and RockSat-C programs dating back to 2008. The objective of this mission is to generate a sample of an immiscible alloy composed of 80% aluminum and 20% indium by mass to investigate the effect of solidification in microgravity on the microstructure. The powdered aluminum indium mixture will be melted via induction heating and the sample created in microgravity will be compared to ground samples after the flight. The mission objective is to release several 3D printed airfoil shapes into space to test for flight stability in low atmospheric conditions. In addition, flexible sensors are mounted to the airfoil structures and acceleration and temperature data is transmitted via RF communications from the airfoil to the main experiment structure. This data will help determine ideal structures and sensor capabilities for data reconnaissance of an extraterrestrial body. The payload will include an impact detection system with the use of a Piezo ElectricSensor and an aerogel to collect micrometeorites. The system deploys the sterilized collect system into the space environment during the flight, which is later retracted and sealed before re-entry. The system contains organic polymer collectors that will gather amino acids, proteins and DNA to potentially prove the presence of life at 43 to 99 miles above Earth. The micro-particles will be analyzed via next generation genomics. The mission objective is to analyze the difference between crystal growth in microgravity and normal gravity on Earth. This will be accomplished by crystallizing super saturated samples of sodium acetate trihydrate (SAT) while the experiment is in the microgravity environment. The experiment aims to test two mechanisms. The first is the deployment of the VT Space Pressure Sensor Aperture Cover Release Mechanism, which utilizes a thermal cutting device that releases an intricate latch system for use in future projects. Second, an Optical Nitric Oxide Sensor will be used to determine NO concentration at high altitudes. Additionally, the experiment houses a system of cameras for recording panoramic video which will be used to create a virtual reality simulation of the flight. The University of Colorado Boulder video payload is designed to capture HD video of the experiments during flight operations. This is done using eight HD video cameras, four of which are deployed to obtain a better view of the experiment section before being retracted for re-entry. 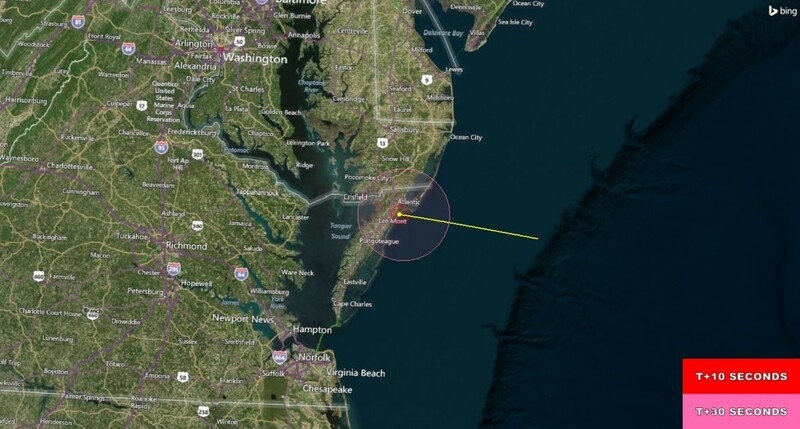 The payload, with the experiments, will descend by parachute and is expected to land 14 minutes after launch in the Atlantic Ocean, about 63 miles off the Virginia coast. The data, including the video, from all the experiments will be stored on-board the rocket’s payload and will be provided to the students later in the day following recovery. The NASA Visitor Center at Wallops will open at 6 a.m. EDT on launch day for viewing the flight. The rocket launch may be seen from the Eastern Shore of Virginia and Maryland.